How to be promoted seems to come very easy for some people. How is it their career seems to grow leaps and bounds and yours seem stagnant? Are you missing something? Sometimes the question to how to get promoted is not difficult to answer, once you know the basics and do a little more. Why do I say that? Because there are too many people who are lazy and you need not even do a lot to be noticed and to shine. How to be promoted can be as simple as doing the basic things and a little more. Just because others aren’t doing it, you stand out! So what are some of these basic things? Be punctual for everything. Get yourself in office before the official clock in time. Be on time when meeting starts. Be there when you are required. In fact, be early so can settle in for the discussions. Be easily reachable for your bosses and your colleagues. These people are like your clients in the office. If they consistently cannot reach you, you become inefficient in their eyes. Let people know where to get you. Even your secret hiding place to de-stress. When you say you will do something, do it. When you promise to deliver something, get it done. Follow up on every step of the project. Be the one chasing for things rather than the one being chased after to deliver. Those are very basic work ethics to have if you are looking on how to be promoted. Be professional and that means watch how you speak, what you wear, and what you do. Do not take “be yourself” concept too far in the workplace. There is still a level of professionalism required at work. Pay attention to details. Detail your work, so no one needs to check on them. If whatever you deliver is good to go, it will contribute to your reputation of reliability in the long run. Careless mistakes often cost companies money. Practice this is where the buck stops. If you take that attitude, you prevent crap from floating to your boss. Being able to hold the fort and stop crisis from getting to the higher ups is a key component in the answer for how to be promoted. What else do you need to do in answering how to be promoted? Take initiatives. Do not let golden opportunities like that flow by you. See an opportunity to improve something, make something better, smoothen the process, save the company some money? Voice it. Put it in writing. Create a presentation for it. What do you have to lose? Think creativity. Think ideas. I am not talking about some great product or service ideas that can help make the company millions of dollars. That will be great if you have. I am talking about the easy things that help solve some resource problems, so when you lack resources like people, material and time - be resourceful. Think how you can help the company solve this problem. What solution do you bring to the table? Then you know you will be getting a promotion. I have mentioned this numerous times. I truly believe when you read you expand your knowledge. It helps you speak intelligently, you open up your mind and give capacity to grow new ideas and be competitive. It’s funny how our minds juxtapose things we read and come up with new ideas of our own. Learn to inspire people. Give them the push that they need. Whether you are a low ranking executive or a manager this skill will take you a long way in life. Not just in getting a promotion. How to be promoted? Learn to get the basics right and see your opportunity increase tremendously. How to get promoted is probably one of the most often asked question in the working world. What does it take to get that promotion? Looking for tips on asking for a pay raise but don't know quite how to do it? Here are some effective tips to prepare you to increase your chances. You work on impressing your boss; there is no shame in it. After all, the boss holds much power over your promotion and salary. So how do you go impressing him? These are my real strategies for advancing career and getting that promotion you need. Brace yourself for the long haul. 7 essential tips for getting promoted and improve your position at work in the next 12 months. Are you looking to enhance your career but don't know where to start? Here are 3 simple strategies to help you improve your career plan. 5 Effective career promotion advice to help you gain the promotion you want, especially if you just started out your career. 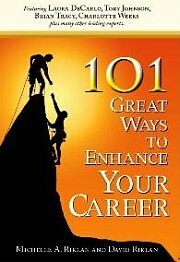 Tips to get the career promotion you always dreamed of. There are many career success factors. A combination of these various factors at the right time can be potent for your career boost. Act the part to get you ahead at work. How do you do it successfully? For more articles related to how to be promoted, click here.